Let's face it, some children need a lot of support and guidance to correct their inappropriate behaviors. Personally, I have found that total respect, 1 to 1 conversations, positive reinforcement and a fair and consistent approach goes a long way to a winning relationship with a student who exhibits challenging behaviors. 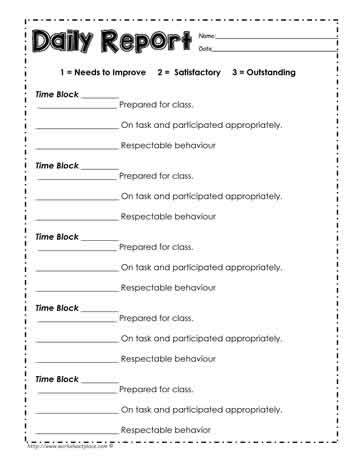 I also find it quite helpful to use a tracking sheet/behavior contract of some sort for a defined period of time to help support behavioral change. Check out the daily progress report along with the other behavior contracts found here. 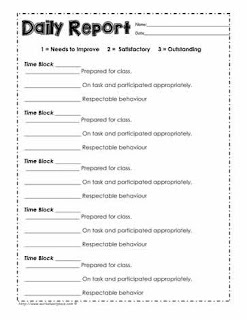 See also: Analyzing when inappropriate behavior happens with these FBA worksheets. Great strategies should be shared, if you like what you discover here at Worksheetplace, share with a friend. Have a great teaching week.